These days it is tough to find a quick breakfast option that isn’t full of sugar or highly processed. The following options are a perfect alternative. Hot tip: Make this on a Sunday evening and have breakfast ready for the working week. 1 Red capsicum, halved and stalk removed. Rub a little oil over each capsicum half, season with salt and place under grill, cook for 10 minutes, turning a couple of times. Meanwhile heat a frying pan, medium to high, rub the mushrooms in a little oil, season with salt and cook for 3-4 minutes, turning occasionally, until they are just softening. Transfer to an oven-proof plate and place in the bottom of the oven to keep them warm. Keep the frying pan on the heat, add a tablespoon of oil and carefully crack the eggs in, cook for 3 minutes, or to your liking. Take the mushrooms out of the oven and divide between two plates, layer the spinach and basil leaves on top, followed by the capsicum. Lay the avocado on top of that then finally put the egg on. Season with salt and pepper and serve with tomatoes and spring onion. Hot tip: Save this for a weekend brunch. Hot tip: This will last in the fridge for around 4 days. Make a big batch and you have lunch and side dishes for half a week. Tastes great served cold. Hot tip: Use organic canned sardines to make it even easier. Hot tip: Try it with chicken, pork or whatever you have in the fridge; it is still speedy and yummy. Hot tip: Try pumpkin instead of carrots for a heartier dish. Even the most disciplined of us give in to dessert occasionally, we all deserve treats. With these recipes, treatin’ doesn’t have to mean cheatin’! 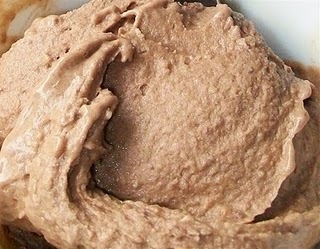 Coco Cacao ice cream – This one I created all by myself J. I love experimenting with different foods, I love time-efficient food, and I love dessert! I came up with this super simple ice-cream just in time for Sydney summer to arrive. Blend all the ingredients together in a blender or food processor, transfer to a clean bowl and place in fridge for 30-40mins. Hot tip: I find placing the mixture in the freezer makes it too solid; the fridge gives it a good, ice-creamy texture – play around with this depending on your preference. 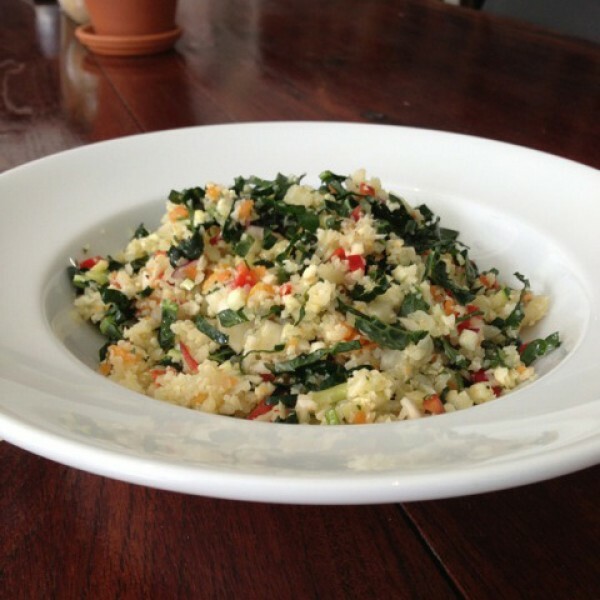 Paleo Cauliflower ‘rice’ – This is the BEST! 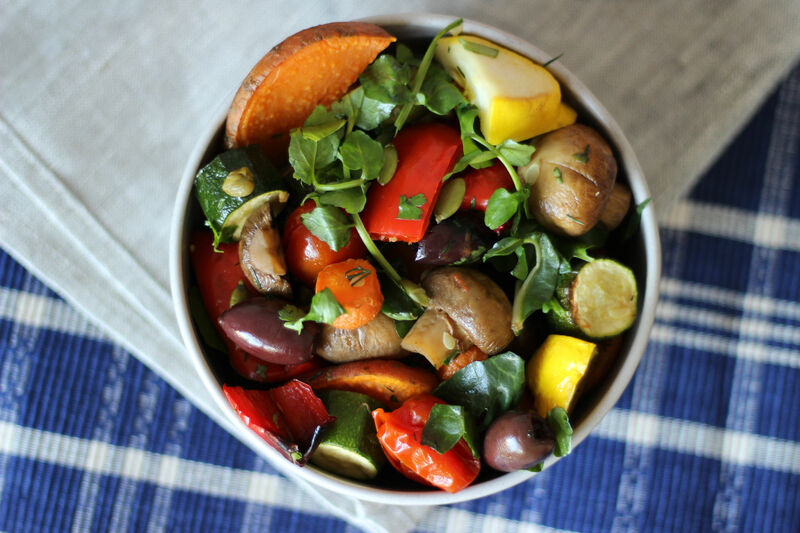 The yummiest and healthiest side dish I have ever come across. Forget mushy bland and overcooked cauliflower ‘rice’. This recipe from Real Food Connection is fluffy, has a light crunch and does not involve over cooked vegetables! Heat half the oil in a non-stick frying pan over medium heat. Add onion and garlic and sauté until for around 2 minutes. Too the pan then add the chopped carrot and sauté for a further 3-5 mins or until onions are soft and light brown. Add cauliflower and remaining oil; sauté for 10 minutes.